Add an unrivaled depth of flavor to your recipes with this Cucina Andolina domestic grated parmesan cheese. This premium cheese provides a nutty, slightly sweet taste with a strong, tempting aroma. 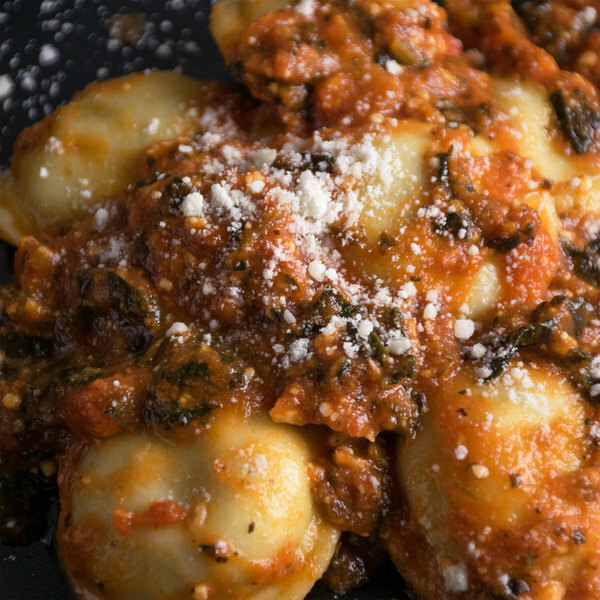 Sprinkle atop your classic pasta dishes, from spaghetti and meatballs to ravioli for an eye-catching finish, or use to add complexity to your pizzas. You can also use as a seasoning on your roasted potatoes or cauliflower to give them an extra crisp, or add to breading to make parmesan-encrusted chicken or veal cutlets. 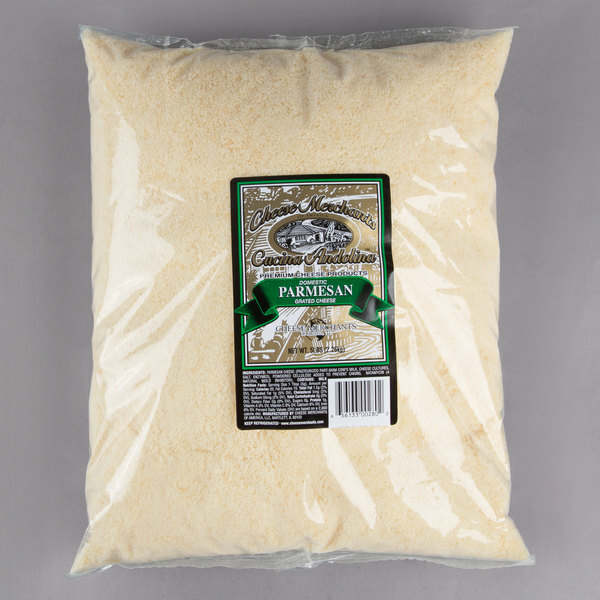 With its popular and versatile flavor, this parmesan makes a worthy addition to any meal. This Italian hard cheese is pre-grated to reduce prep time and labor costs in your kitchen. Unlike most pre-grated parmesan, this cheese is incredibly fresh and maintains its unique, savory flavor. Whether using in your Italian dishes, or adding to a variety of soups, salads, and risottos, this parmesan cheese is a valuable addition to your establishment. Since 1998, Cheese Merchants of America has been providing the finest imported and domestic premium and specialty cheeses to the foodservice industry. Committed to providing the freshest, highest quality products on the market, Cheese Merchants of America is one of the top specialty cheese suppliers in the United States. Cucina Andolina, their premium brand of specialty cheeses, provide unmatched flavor and quality and contain honest ingredients. Your customers are sure to notice the difference in taste with Cheese Merchants of America's products, making them a great option for your business. Rich, slightly nutty, incredibly delicious. I love this Parmesan cheese! The price is unbeatable and it looks and tastes much better than any other grated cheese i have ever found. 10/10 would recommend! Great as a pizza topper, or a bread dip! Good value and amount of product, but we were not impressed with the taste. Maybe it's just because we were used to a different brand or not.